Cytokinesis is the final process in cell division, but it is only possible after the completion of mitosis. Cells propagate by making clones of themselves. The clone is called a daughter cell. After a daughter cell is produced it must separate from the original cell. 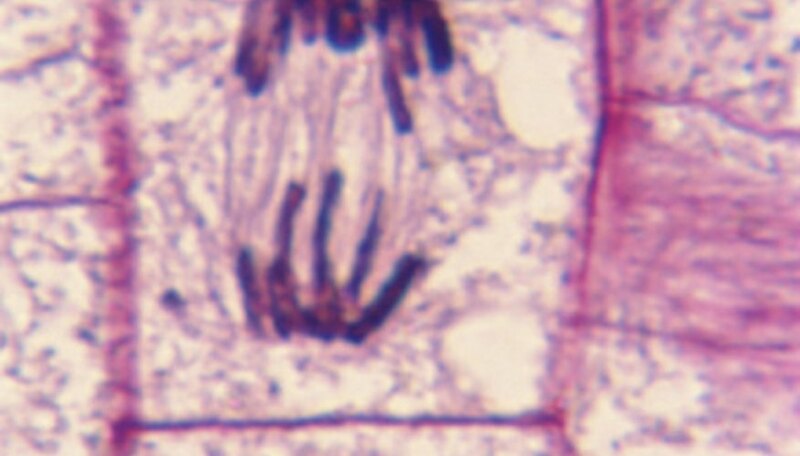 This is where cytokinesis plays its key role. In animal cells, a fiber ring comprised of the protein actin surrounds the cell's center. When this ring contracts, much like a muscle, it pinches off the new daughter cell, leaving two separate cells. This process is called cytokinesis, or the simulation of the cytoplasm to separate. Plant cells are protected by a rigid cell wall, so they require a little extra help to make the final division. During cytokinesis an organelle called the golgi apparatus releases vesticles that form a cell plate. This plate divides the two new cells and grows outward to form a cell wall around the new daughter cell. Mitosis is a process that must happen before cytokinesis can begin. Mitosis begins with interphase, when the cell prepares to make a copy of its itself. The cell's chromatin, the substance that makes up chromosomes, begins to condense in prophase. In prometaphase and metaphase the chromosomes separate and align themselves in the center of the cell using spindles. Anaphase and telophase are the final two phases of mitosis that lead into cytokinesis. Although cytokinesis cannot take place without mitosis, it is not one of the phases of mitosis. Cytokinesis is its own process because it does not happen has a direct result of the metabolic processes of mitosis. Ross, Tiffany. "What Are the Stages of Cytokinesis?" Sciencing, https://sciencing.com/stages-cytokinesis-8591696.html. 24 April 2017.